This Travato 59KL is ready to hit the road when you are! Once you reach your destination you will find that both the driver and passenger seats swivel around and offer extra seating inside. 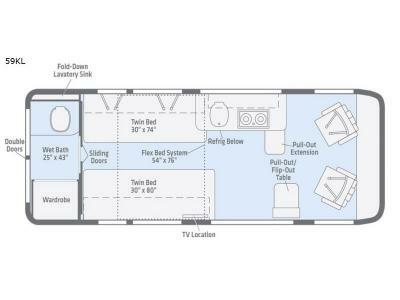 In the evening, you can enjoy watching television or a movie on the 24" HDTV before you turn in for the night. 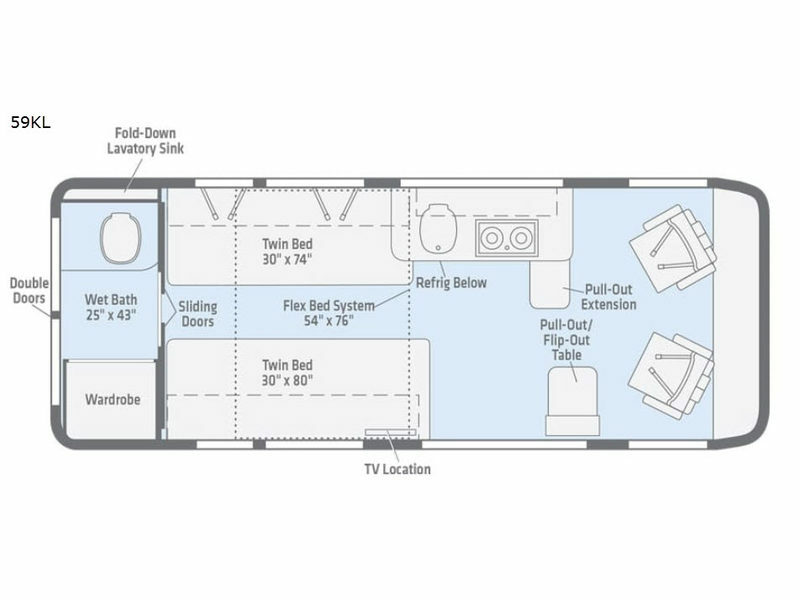 Sleeping space can be found on the two twin beds, or use the Flex Bed system to join the two twins together creating a larger bed if you wish. You will appreciate the convenience of your own on-board wet bath and kitchen amenities especially with the Pure3 Energy System that allows you to push button power! Check out this unit today! 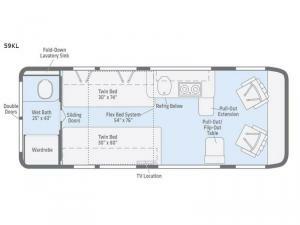 Get ready to go on more road trips and weekend excursions with a Travato class B motor home by Winnebago. 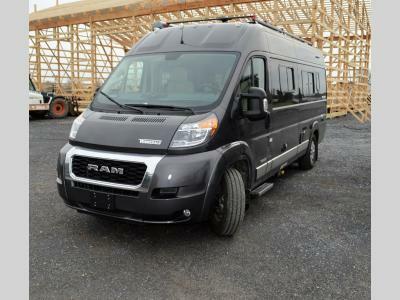 You will find that these models feature a Ram ProMaster chassis, and a 280-hp, 3.6L V6 gasoline engine providing power and fuel efficiency. Inside, you will appreciate the Truma Combi Eco-Plus heating and the Deluxe FROLI sleeping systems. Both add comfort to your road trips. The 200-watt solar panels allow you to go off-grid, plus you have the Pure3 Energy Management System providing all the power you need to run appliances and even the AC anywhere you decide to stop for the night without the use of a generator or power hook-ups. What are you waiting for? Come start your next trip with a Winnebago Travato!